Pretty much self explanatory, really, haha. 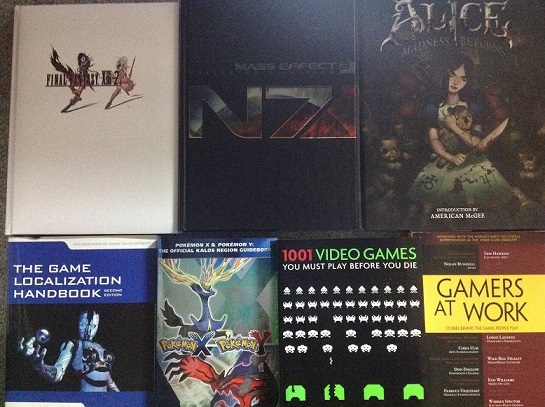 I was bored tonight, so I decided to take photos of all my books based on games that I've acquired over the years. In Japan, especially there's a really healthy print market for collector's books and the like, and it's something that's just starting to pop up in the West courtesy of Udon and Dark Horse. These are my English books. In order: Final Fantasy XIII-2 strategy guide. Mass Effect 3 strategy guide. Alice Madness Returns Art Book. The Game Localisation Book. Pokemon X and Y strategy guide. 1001 Games You Must Play Before You Die. Gamers At Work. Atelier Rorona Art Book. 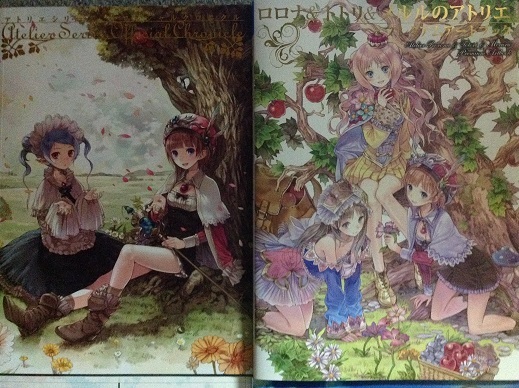 Atelier Arland Trilogy Art Book. Ar Tonelico Qoga 3 Art Book. 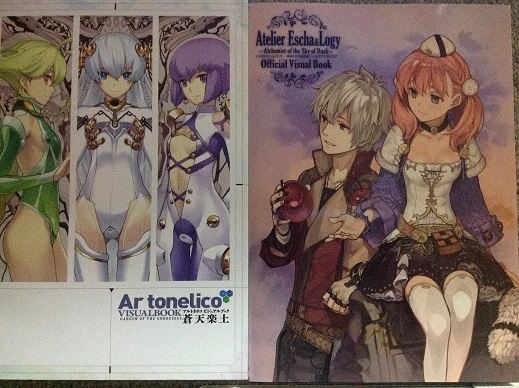 Atelier Escha & Logy Art Book. Monster Monpiece Art Book. 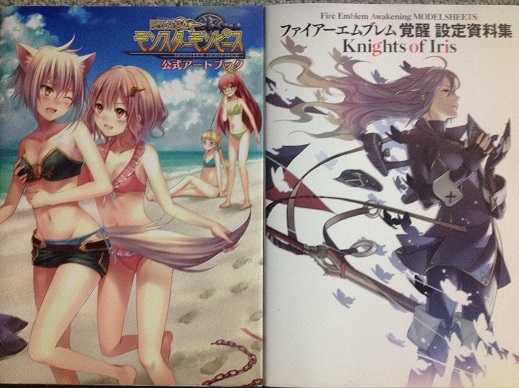 Fire Emblem Knights Of Iris Art Book. Photo Kano Kiss strategy guide. Dragon Quest VI (DS) strategy guide. 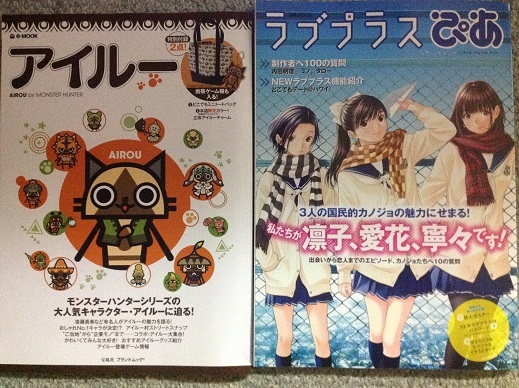 Airou Fan Book. Love Plus Fan Book. 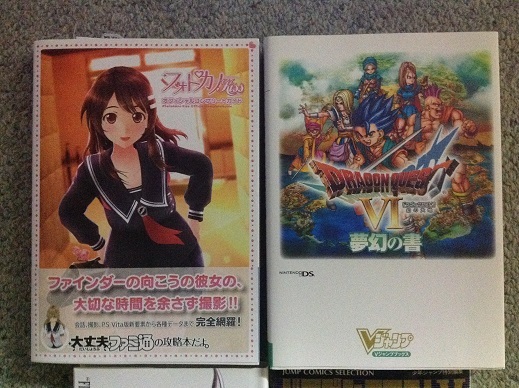 Dragon Quest 25 Year Anniversary Collector's Book. 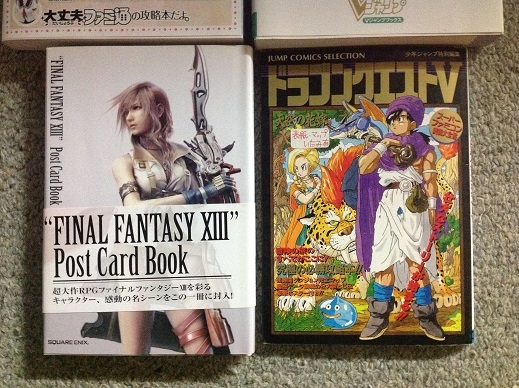 Final Fantasy XIII Post Card book. 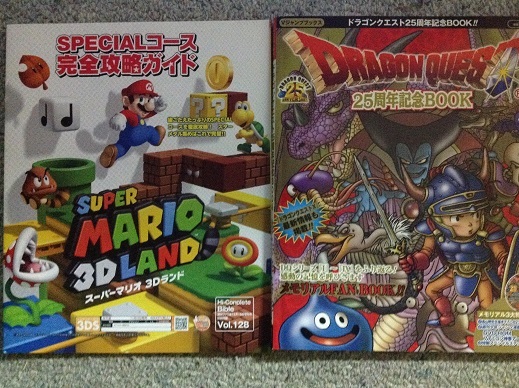 Dragon Quest retro strategy guide that I nabbed at Super Potato. So now, are there any collections/ anything you'd like to show off? Do so here! Re: The show off thread! » Lets show sticks in a pot.